Together we can prevent violence and harm by being active bystanders who care for one another. Being an active bystander means that you TAKE ACTION when you see a situation that could be potentially harmful. Every step counts no matter how small you think it is. 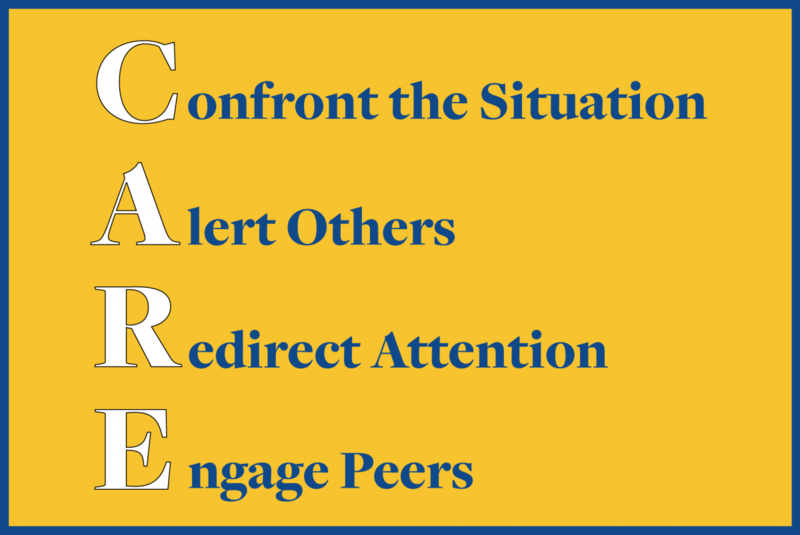 The CARE Model equips you with strategies for taking action. Depending on the situation at hand and your personal style for intervening, there is always an option for taking action while keeping yourself safe.